Yohimbe bark is also referred to as pausinystalia johimbe and is indigenous to central and western Africa. Its appearance is most prevalent in the Congo, Cameroon, Nigeria, and Gabon. Yohimbe has been used in traditional African medicine and spiritual practices for many centuries. Its psychoactive properties are probably the reason it was often used by warriors to prepare for battle. This may also be the reason that a poultices were used as antiseptic and relieve the pain of skin infections and wounds. Yohimbe has been used in monotherapy as well as polytherapy by professional medical practitioners for impotence in European countries for more than a century and nearly as long in the United States. The chemical components of Yohimbe have been studied around the world and numerous clinical trials have been conducted over the last four decades within the United States. A double blind study conducted by Department of Urology to the Providence Veterans Administration Medical Center in Rhode Island examined the effectiveness of Yohimbe hydrochloride on impotency. After 30 days of treatment with Yohimbe hydrochloride 34% of participant presented some form of improvement and about half of those experienced full recovery. That study was conducted in June of 1989 and its promising results led to numerous more extensive studies on Yohimbe and erectile dysfunction. Another double blind clinical trial less than a decade later, this one in Germany, administered Yohimbe hydrochloride to 86 participants who suffered from erectile dysfunction. This dysfunction did not have any evident psychological or organic causes. When compared to those that received a placebo, around 50% of participants who were given Yohimbe hydrochloride presented with significant improvements in many criteria. These increases were seen in penile rigidity, libido, and sexual satisfaction. One year later the Department of Complementary Medicine of Postgraduate Medical School at the University of Exeter in the United Kingdom conducted a study to determine the effectiveness of Yohimbe on diabetic subjects suffering from erectile dysfunction. Those who received Yohimbine monotherapy demonstrated marked improvements over those taking a placebo. This study also examined the safety of this monotherapy and found it to be a reasonably innocuous therapeutic option. All of this research and resulting data validates the effects of Yohimbe as an effective treatment for erectile dysfunction in castrated, diabetic, and non-diabetic men. Of course, this is exactly what African tribes and naturopaths have been saying for a very long time. It is difficult for anyone to argue with this scientific empirical evidence. 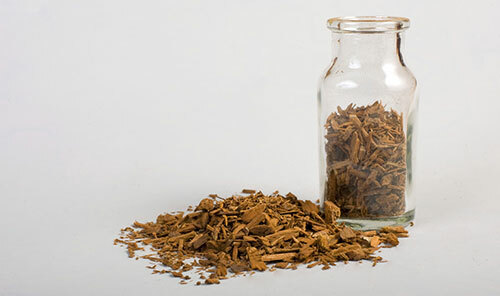 Yohimbe bark may contain some of the strongest libido enhancing properties of any plant. There is no doubt that it can dramatically increase and promote healthy penile function.